March 26, 1989, Dr. Lina Galvan-Tan, former Chief of Higher Education, DECS Region 1, together with her husband, Mr. William T. Tan, concretized her concept of Education into what is now the ESCUELA DE NUESTRA SEÑORA DE LA SALETTE. As proof of her devotion to the Blessed Virgin, she named the school after the Virgin Mary of La Salette, France, hence the Spanish translation of the school’s name School of Our Lady of La Salette. Starting with a handful of pupils in Nursery, Kinder and Prep in 1989, LA SALETTE, under the leadership of its Founder-President, quickly expanded its course offerings to cater to the needs of the community by opening the Grade School and High School level and eventually the College level. La Salette also saw the need to help the special children of Dagupan City and the neighboring towns and it opened the first-ever Special Education School in Dagupan City. The Dagupan City Government, recognizing the innumerable services of LA SALETTE to the people of Dagupan City through its dynamic Founder-President, awarded Dr. Lina Galvan-Tan as one of the Ten Most Outstanding Citizens during its Golden Anniversary Celebration. 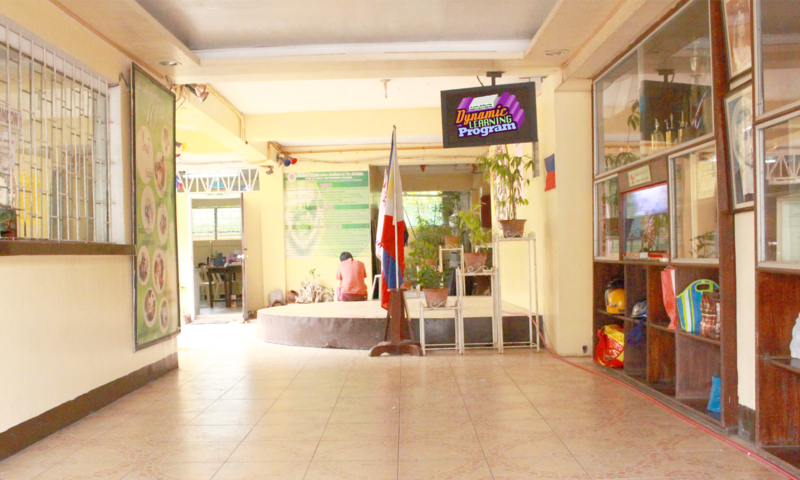 The growth of the school became more dynamic and substantial when it became a DE LA SALLE ASSISTANCY SCHOOL in November 2000 through the Lasallian Schools Supervision Services Association, Inc. (LASSSAI). True to its reputation as a school of quality, ESCUELA DE NUESTRA SEÑORA DE LA SALETTE passed the prestigious Lasallian Accreditation in December 2002 and was moved up to the next level of supervision, DE LA SALLE CONSULTANCY. In the early part of the year 2006, the school again received another laurel as it passed the prestigious Lasallian Accreditation, with the school being granted a DE LA SALLE SUPERVISED-PROBATIONARY status. To evaluate the school’s commitment to offer quality programs to its students, the Lasallian accreditors then again visited the school on February 2008 for another accreditation visit. La Salette passed the Accreditation with flying colors earning the title: De La Salle Supervised-Accredited Level 1. After another 3 years in 2012, La Salette then again passed another level of accreditation earning for itself Accredited Level 2. La Salette is now to be known a full-pledged DE LA SALLE SUPERVISED SCHOOL. With the school embracing the CVIF-Dynamic Learning Program and consequently becoming the first certified DLP school in the country, LA SALETTE remains to be one of the top performing schools in the City because of her untiring commitment to excellent and responsive education.